SeaSucker marine accessories are the world’s easiest to mount. 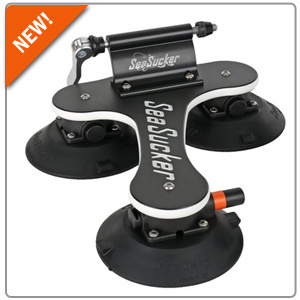 No drills, no holes and no screws are needed when using SeaSucker! These accessories range from everything to universal bike racks, small electronic mounts and even phone mounts. Their product avoids any damage to your interior and exterior components on your vehicle due to their vacuum-mount technology. Their vacuum mounts have been tested around tracks at speeds of 140MPH, so you know they work. We know you’ll love these products as much as we do so be sure to check out what they offer for your vehicle below.